The EPA estimated fuel efficiency at 26 mpg highway and 18 mpg city (combined 21 mpg) for the 2-WD pickup featuring a 305-hp 3.6L V-6 with direct fuel injection and continuous variable valve timing paired to an automatic transmission; and 24 mpg highway and 17 mpg city (combined 20 mpg) when the same engine is used in a 4-WD vehicle. The numbers apply to both the Canyon and Colorado since engines and transmissions are shared between these two trucks. This is an optional engine alternative with the standard being a 2.5L I-4 direct injected power plant (200 hp). 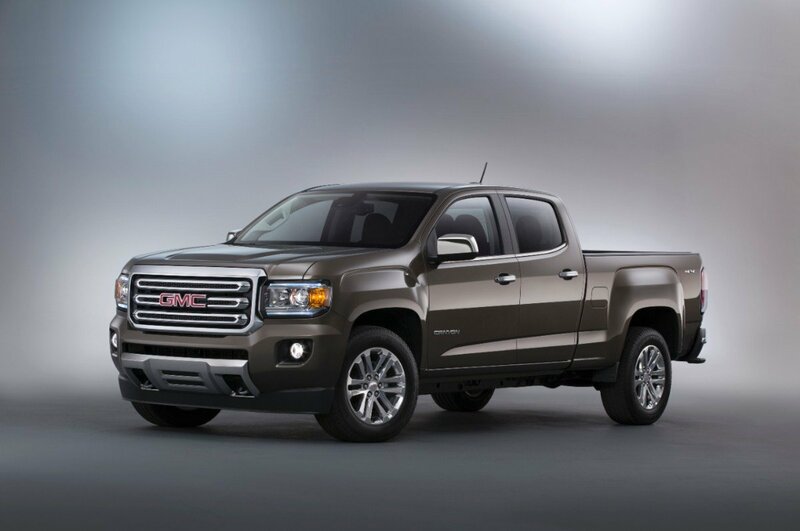 For 2016, a 2.8L Duramax turbodiesel to the engine lineup. 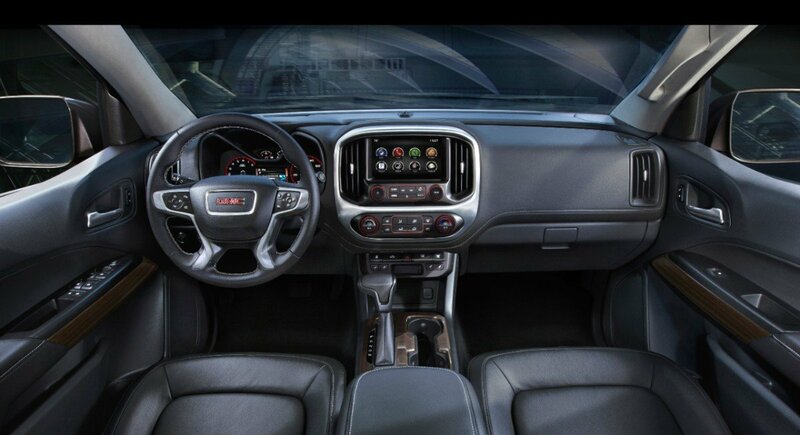 In early August, some pricing information was released with base model for the Colorado set at $20,995 and for the Canyon set at $21,880. 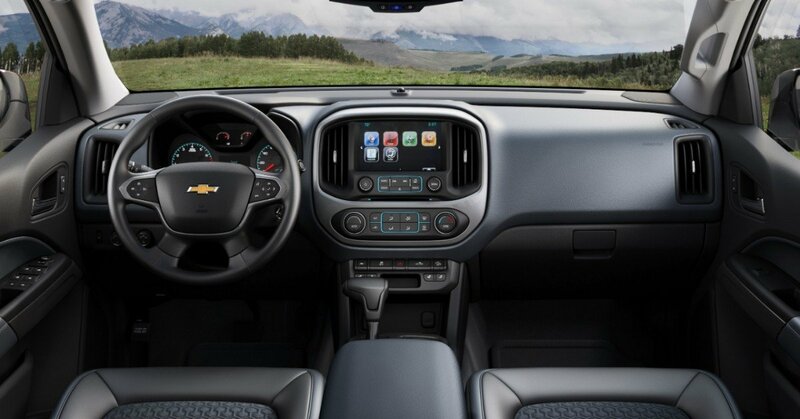 With the large range of alternatives available prices can rise quickly, topping out at almost $35,000 for the Colorado and $37,875 for the Canyon. These prices for loaded trucks still keep the vehicles in a range that is well under the ones currently being posed for 1/2-ton pickups that are similarly decked out. These glamorous darlings can range up to about $70,000, and they are selling. I won’t detail all of the options and alternatives that are available since I have not yet driven either of these trucks. The Texas Auto Writers Truck Rodeo is in early October and that will likely be my first drive since I can’t believe that GM would miss out on the opportunity to win early accolades at the time dealers should be receiving their first product. I do like what I have seen so far. Both pickups are nicely sculptured on the outside and include all of the necessary amenities inside, packed very attractively. Expect the trucks to be at the State Fair of Texas, also. 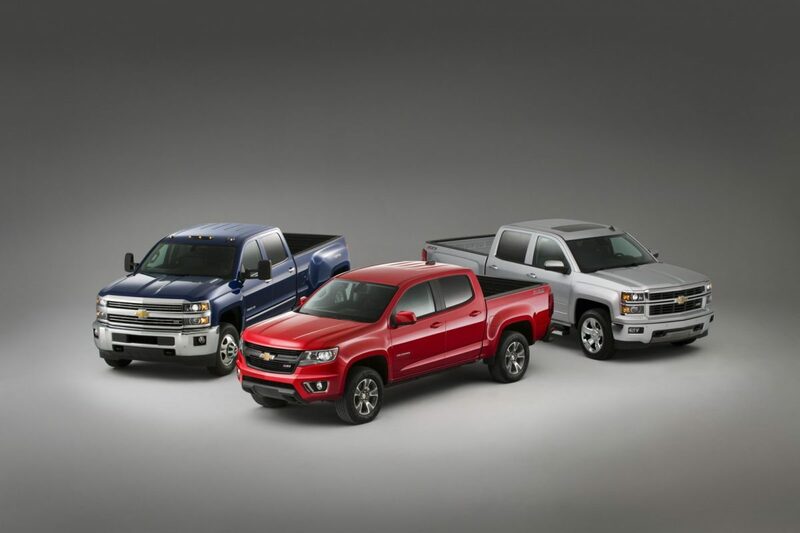 What remains to be seen is how excited truck buyers will be about the entire mid-size segment. Most truck manufacturers abandoned the category years ago leaving it to Toyota and Nissan in strategies designed to drive most prospective customers toward 1/2-ton models. It will be interesting to see the official tow numbers for the Colorado and Canyon when they are released. They will be more relevant once the information on the turbodiesel version of the trucks are revealed, perhaps taking these mid-size players into the small to midsize boat and RV towing range while still fitting into most garages.